NOTP 2019: LAZULI confirmed for Saturday, 20th July 2019. Line-Up is now complete! NOTP 2019: SPECIAL PROVIDENCE confirmed for Friday, 19th July 2019. Due to unforseen circumstances, IN CONTINUUM have to cancel their show at NOTP2019. Both, @davekerzner and the Night Of The Prog staff regret the decision. We hope that In Continuum will be performing at NOTP in 2020 or beyond. We will keep in touch. NOTP 2019: F.O.R.S. confirmed for Saturday, 20th July 2019. 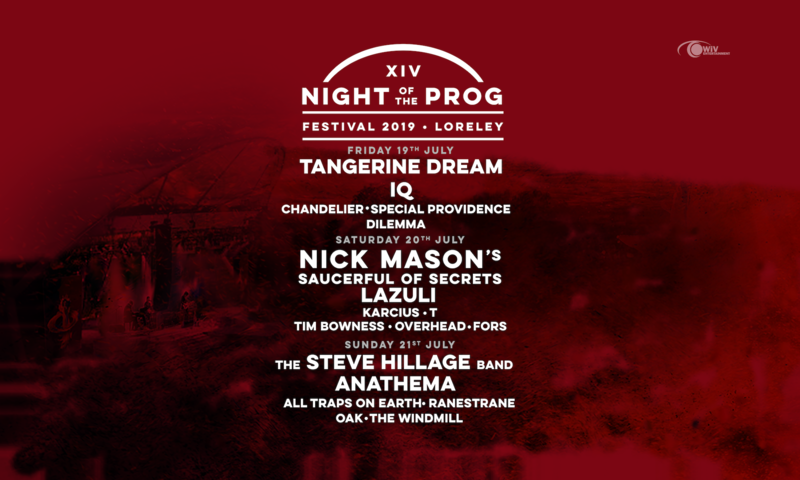 NOTP 2019: TANGERINE DREAM confirmed for Friday, 19th July 2019.